For them not interested in reading, you can go directly to the SmugMug Gallery HERE. 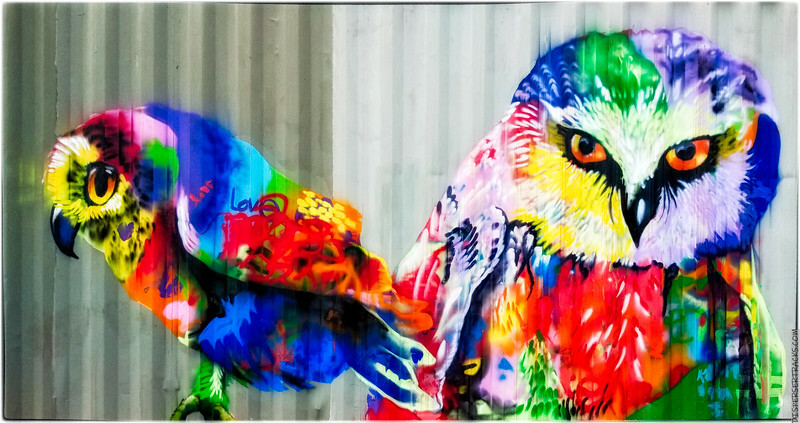 1) Manually scroll through the photos by clicking the “<” and “>” symbols to the left or right of the photos. 2) There’s a PLAY/PAUSE button at the bottom-left of the screen with the transition set at about 5 seconds. Note: clicking the PLAY arrow will run a full-screen slideshow. You can then still use the”<” and “>” symbols to the left or right of the photos as this will pause the slideshow. Continuing from Part 1, this post will go faster as most of the photos are miscellaneous things and not cultural locations and stuff. 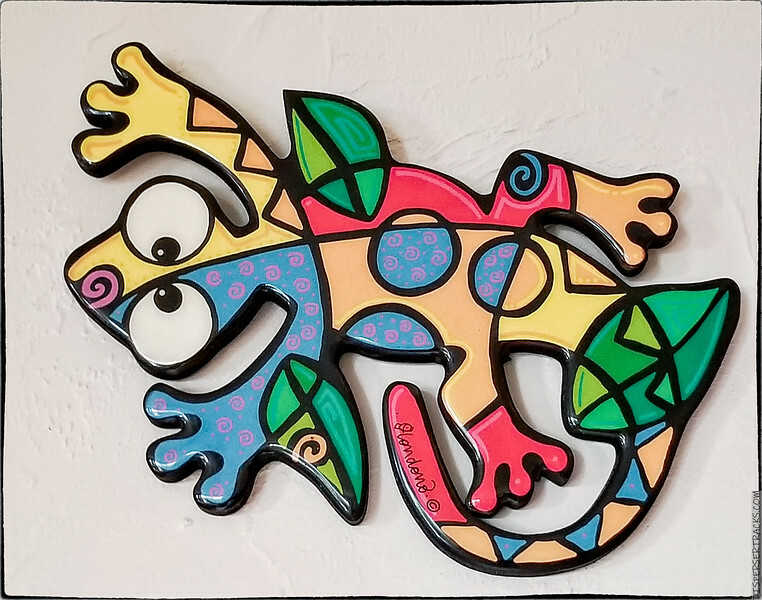 This is another wall decoration depicting a gecko. People really like geckos . . . most people. I like them too, but not in the condo. I’ve covered the erroneous belief they keep bugs from infesting your condo and I’ve covered the fact they can carry diseases and I’ve covered the fact they crap all over the place. None of that seems to matter to people because geckos are colorful, almost look fluffy, and have big eyes I theorize hypnotize humans into liking them. Luckily, I’m immune. One thing I’ve not done much here is collect shells. 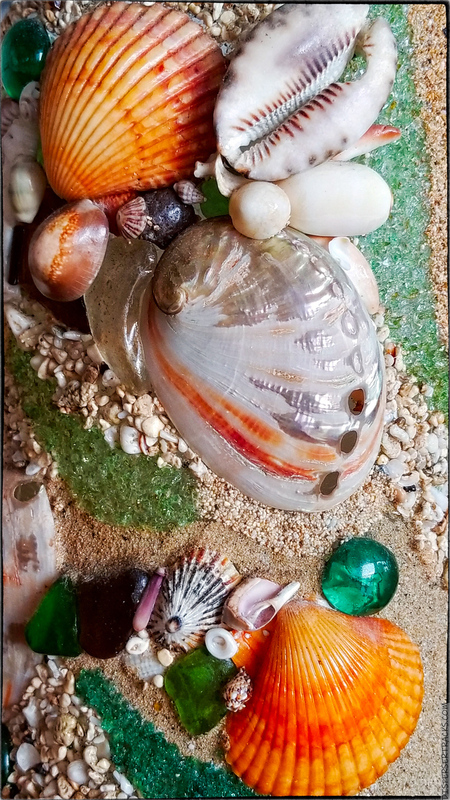 I occasionally see people walking along the few beaches here and pick up this or that odd shell. The problem is that we’re not usually out at the beach early (or ever) and because there are few beaches and they are well frequented, by the time we might get there, the pickings are slim. These were part of the decorations on the outer surface of a vase. This is another decorative piece but I don’t think it’s Koa wood. These next three photos are from a visit to Tex Drive-In (a malasada run, as it were) and these plants have previously appeared on the blog. Consider this an update of sorts. 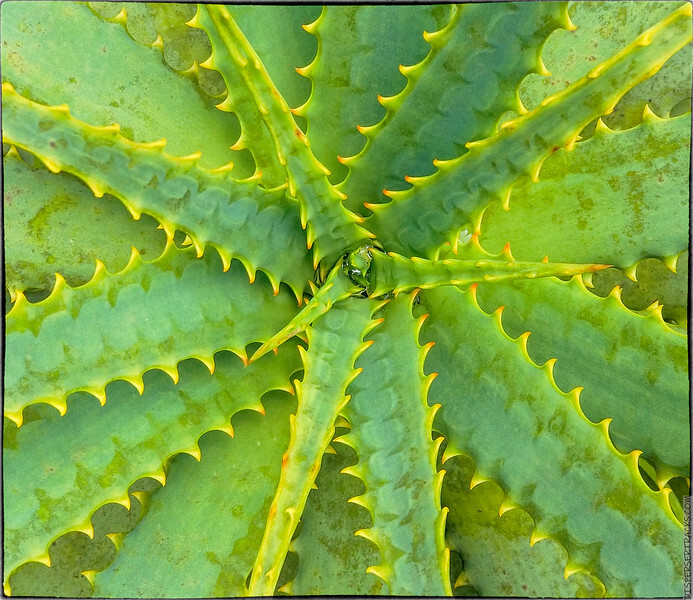 I think that is an Aloe Vera plant. Here are two photos updating the progress of the pineapple growing on the side of the building. I probably should add something to indicate the size, but the fruit itself (without the crown) is probably six inches tall or thereabouts. Like I said, I’ll check next time. 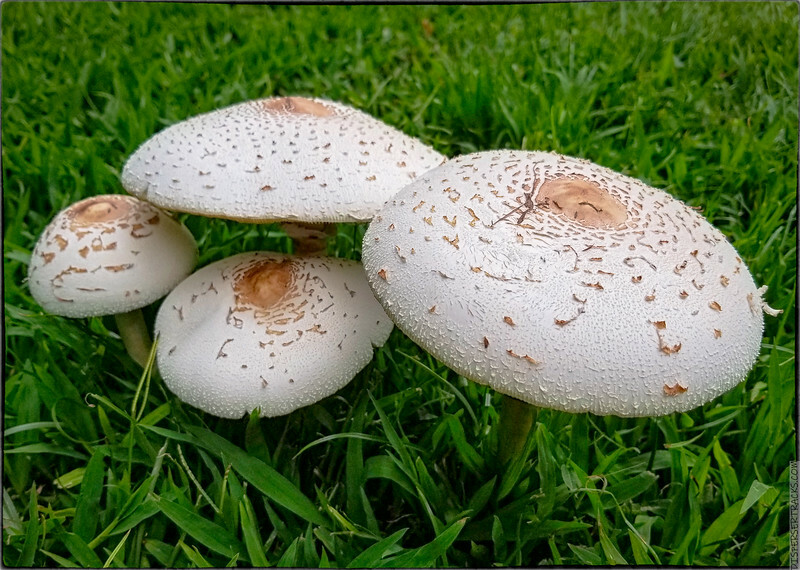 Next up, some Parasol Mushrooms snapped over the course of a few days. Most don’t survive long because kids find them irresistible targets for their kicks. The photos themselves are captured in different lighting with and without flash and at various stages of development. Rather than comment on each one, I’ll just show them all and readers can quickly scan through them. As you can see, I tend to capture multiple photos and from different angles. Often, I’ll make sure I take two or three different versions of the same scene and from the same angle. That’s a hint for people who would like to “do better” in photography. 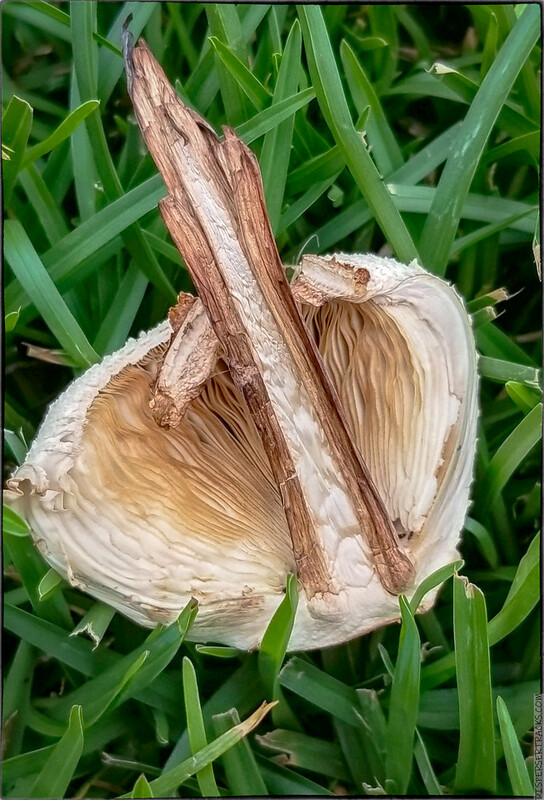 If you see something you like, something that is not likely to be repeated or that you’re not likely to encounter again, take multiple photos. My philosophy is that you can always delete photos after the fact but that you seldom have the opportunity to take more after the fact. 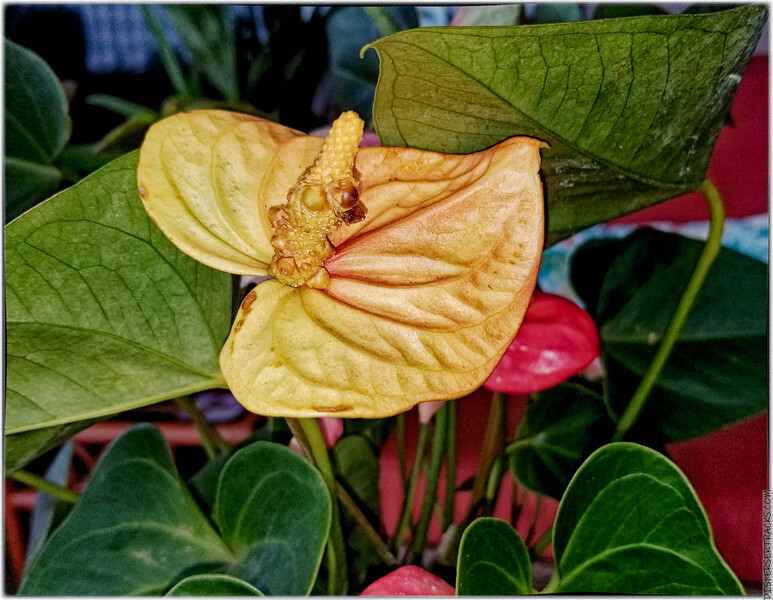 Next up, one of the most recognized tropical flowers . 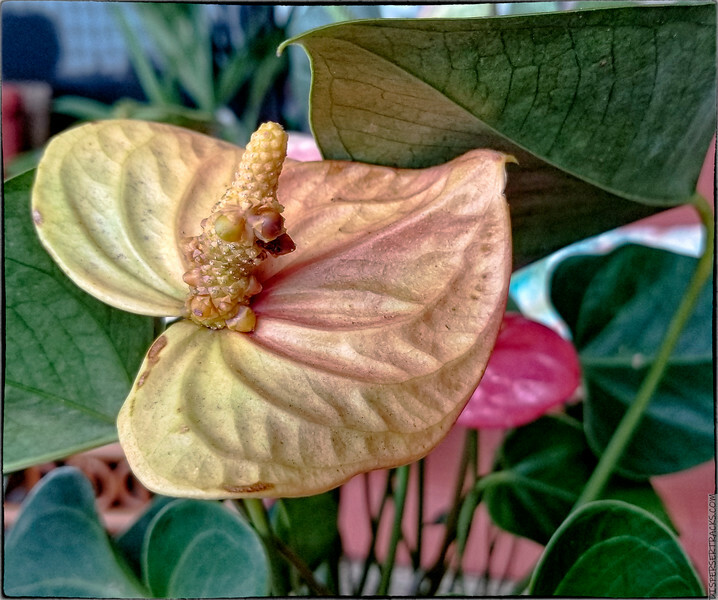 . . the Anthurium. I should say “most associated with Hawaiʻi” as opposed to “recognized”. I mean, perhaps everyone knows the name of the flower but my gut feel is . . . nope. The first one is shot using the camera flash. I try to avoid using the flash because it’s seldom balanced and can make things look harsh. OK, I’m listening to music as I’m composing this post and this song just came on . . . If you don’t want to listen to it, don’t click play. 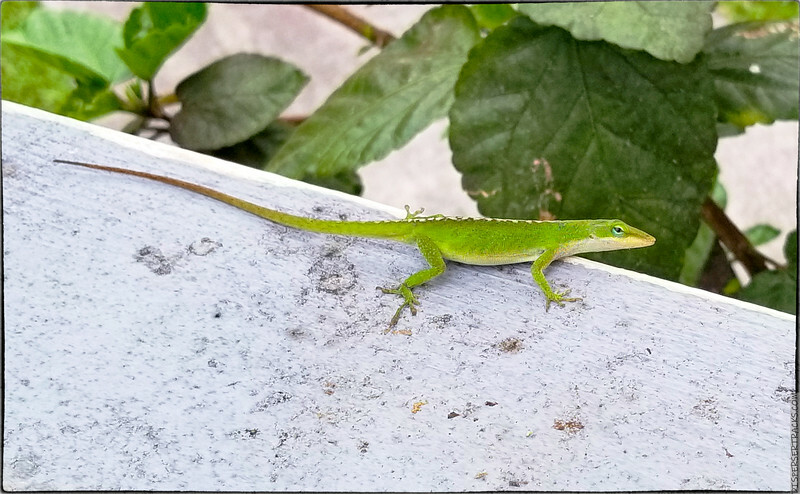 Next up, we have the Carolina anole . . . I have some neat photos of one of these guys on some flowers. I think it’s in the June batch. There are a number of these guys around but they don’t try sneaking into the condo. Or, if they do, they are very good and leave before they are spotted. They also come in brown but that makes them much more difficult to see unless they happen to be moving. 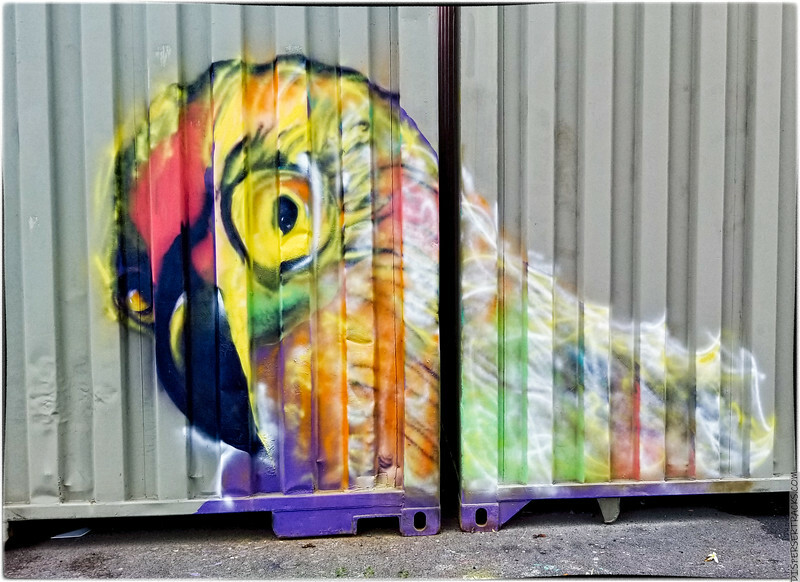 The rest of the photos are container art . 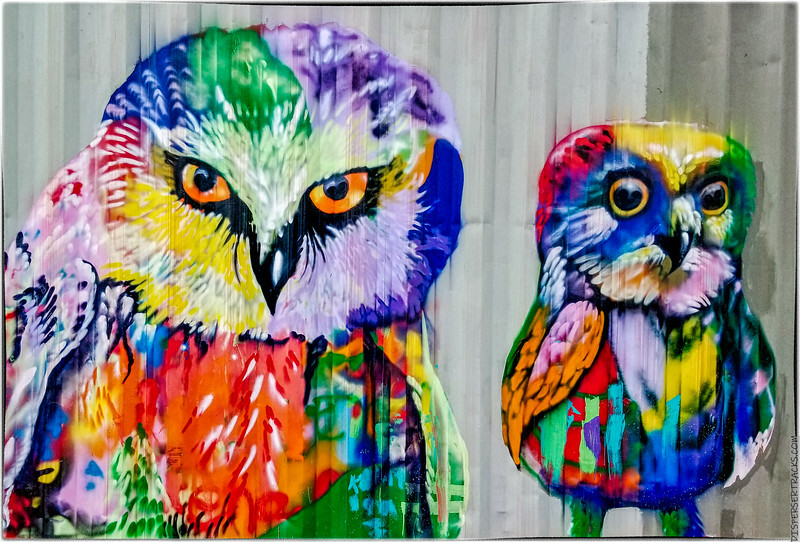 . . meaning, these are drawings on the side of shipping containers at a local building supply co-op. 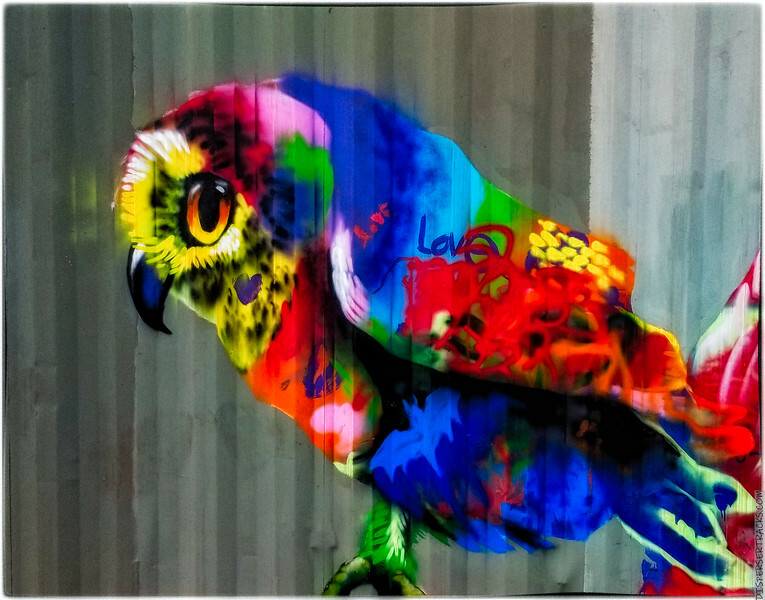 You’ve already seen the big owl painted on the side of the building . . .
That’s actually clickable for a larger view. 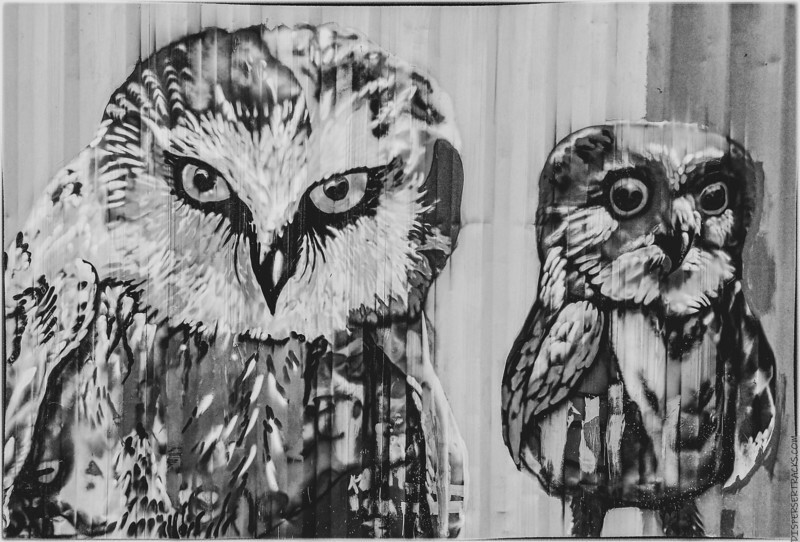 Anyway, they have these containers painted along the same owl motif. But, in case you didn’t like the somber music of the previous video, here’s one a bit more lively and entertaining. I do like these mish-mashes of modern music and dance moves from different movies. Anyway, here come the owls . . . The interesting thing about these photos is that the view to these containers is usually blocked by semi-trailers parked alongside them. I happened to get lucky one day as I was on my way elsewhere and the trailers were gone. I did a u-turn and rushed back to the parking lot to snap these photos. Yes, I also took a set with the P900 but this post is about the Samsung Note 8 photos. I only have one more of these posts to cover the 80+ photos I culled from the 400+ photos I snapped in May . . . but then I also need to share the videos so probably two more posts. I want to end with something that crossed my radar . . . this is Grace Slick’s voice isolated as she sings White Rabbit. Whatever you think of the song or the singer, the voice impressed me. Understand, I’m neither a musician or singer so I’m easily impressed. If you want to hear the song with the music, click HERE. 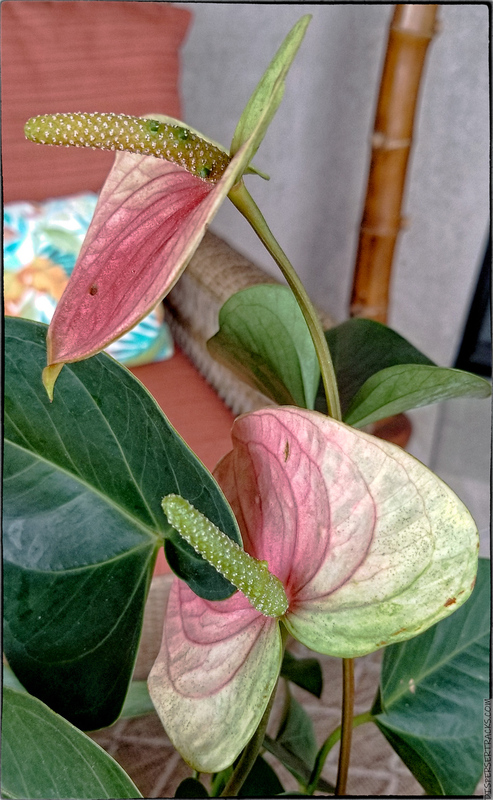 This entry was posted in Photography Stuff, Photos, Samsung Note 8, Smartphone Photography and tagged Anthurium, Big Island - Hawaii, Carolina Green, Hawaii, Murals, Parasol Mushroom, Photography, Pineapple, Samsung Note 8 photos. Bookmark the permalink. I like most of ’em but especially the mushrooms. Brilliant. Thank you. I found them irresistible in their setting. They may have been short-lived but brightened the few days I saw them. OOH and ugh on the geckos pooping in the house. I have frogs in the summer, but they stay outside and poop on my porch. 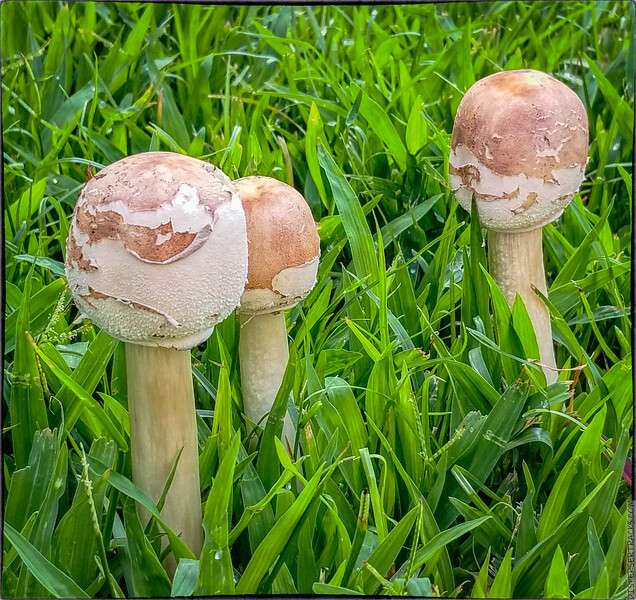 The mushroom photos are so pretty! 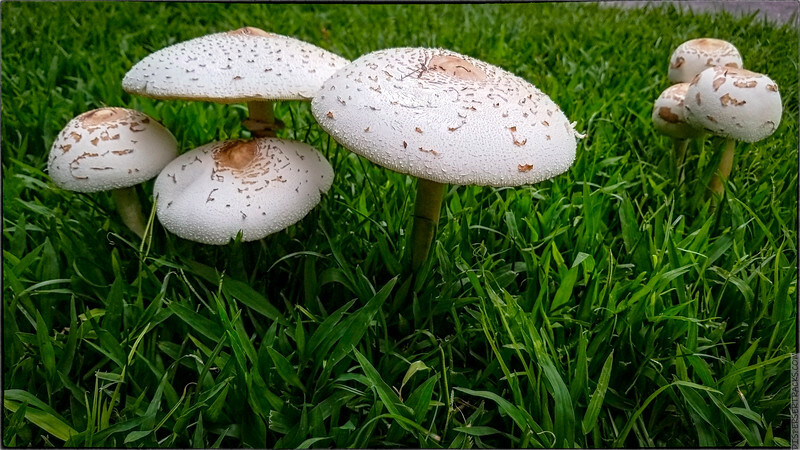 I always think of them as things like tables and umbrellas for fairies and pixies. 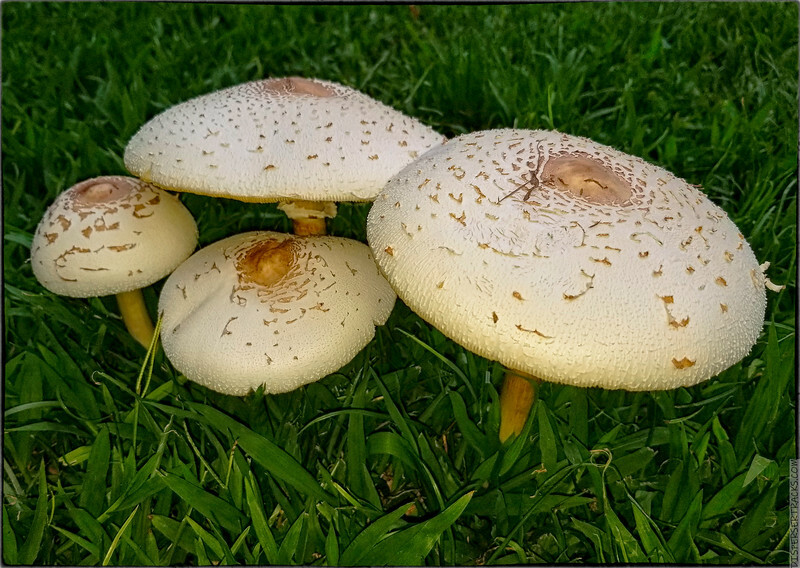 Then I think…”I wonder if these mushrooms are edible? 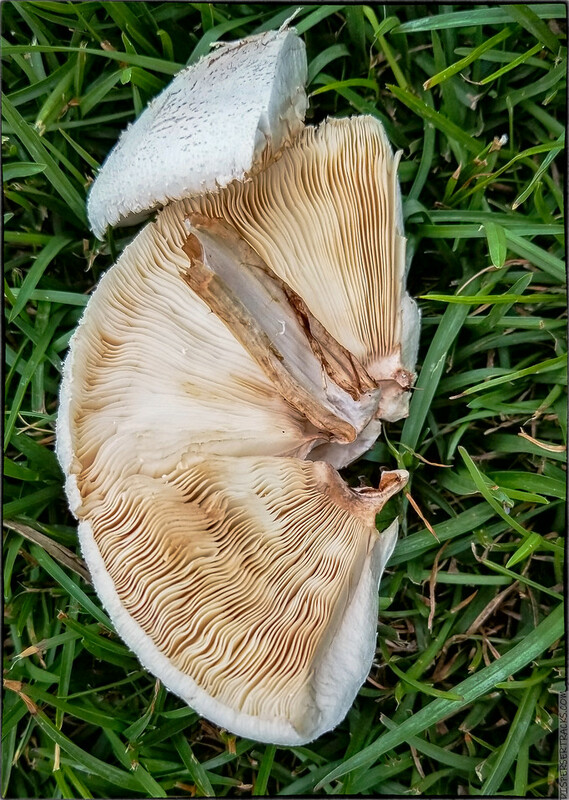 !” I could eat mushrooms every day! 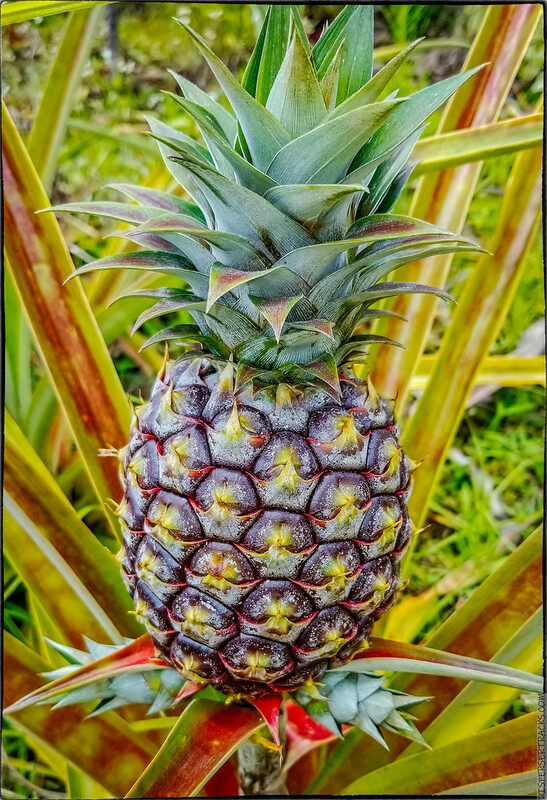 Do you know if pineapples are difficult to grow? Do the grow “wild” there? Love the dance in movies vid! I’ve seen quite a few of those movies! 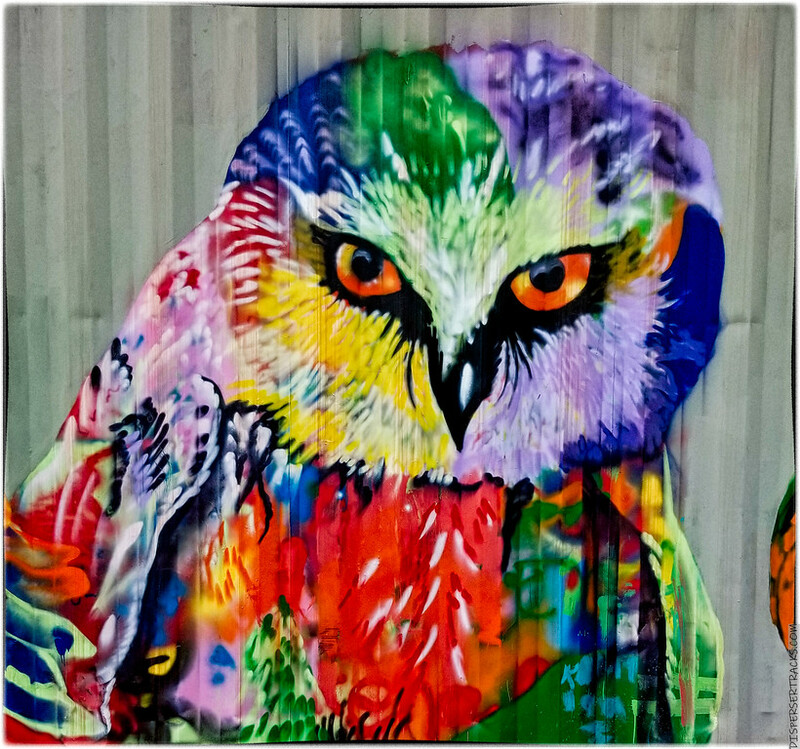 I do love the owl murals/paintings! 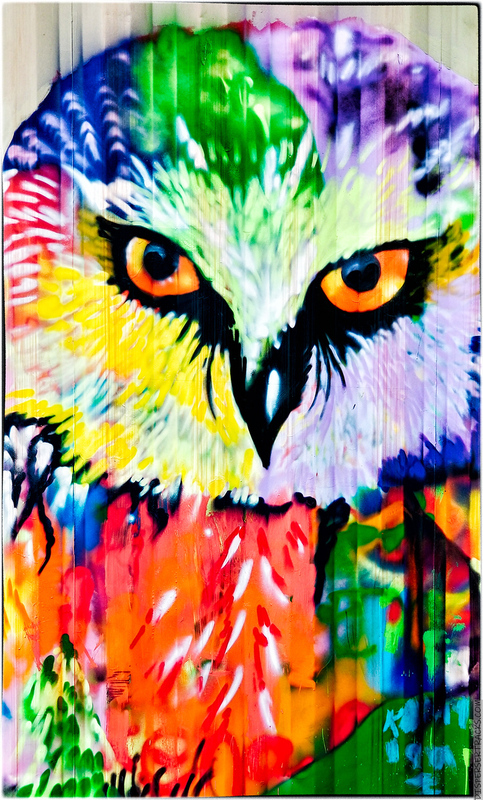 I used to collect anything with an owl on it or owl artwork, etc. But, no more, because there is no more room to display the hooters! Pretty much, if you have some critter in the house, unless they are trained, they will leave you presents in all sorts of places (ask most wives). I don’t know what frog poop looks like (I’m often surprised when I find gaps in my knowledge) but I imagine it’s no more desirable than other poop so I’m glad they stay outside. 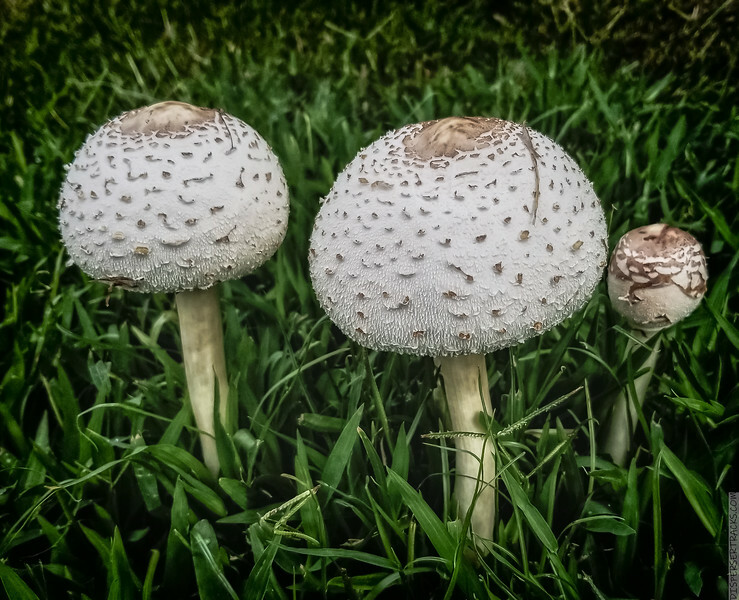 These particular mushrooms are edible and the link describes Europeans as making more use of them as food than we do here. 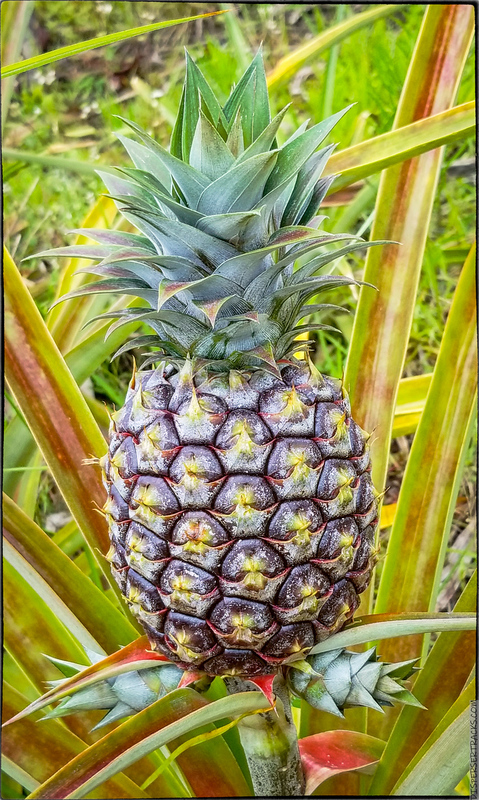 That I’ve seen and from what I’ve read, pineapples are not native to Hawaiʻi and were imported in the 1860s likely from Paraguay and Brazil. They wouldn’t grow wild here unless it’s a remnant of a pineapple field. They are fairly easy to grow but they take a long time to mature and produce fruit. They flower in five to ten months and fruit in another six months or so. One pineapple every year to year-and-a-half. 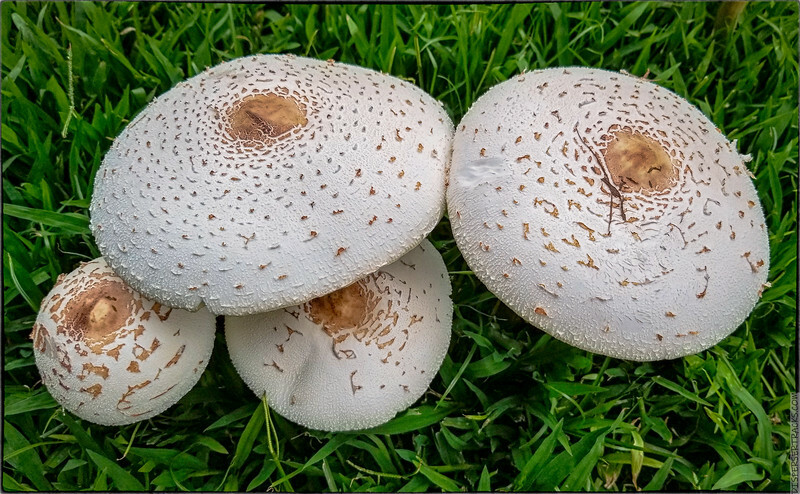 I’ve seen them in gardens here but I imagine they are as much decorative than a practical food source. There are a number of dance mixes with various amount of interesting scenes. Some are better than others at blending the music to the scenes. Sad to hear the hooters are no longer on display . . .
Hope you’re having a great weekend. I eat a lot of pineapple. So I will appreciate it more now! I don’t think they grow them here any more (commercially) but I remember seeing a field of them in Maui one year. They were planted in staggered dates so you could easily see the progression of the plant. 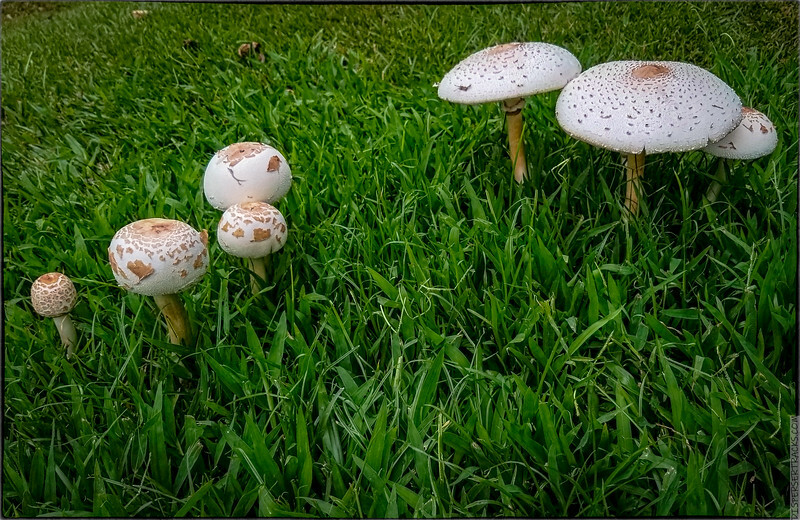 Those mushrooms look good enough to eat; are they edible like Spam or are they poisonous? Apparently, Europeans like to eat those mushrooms . . . 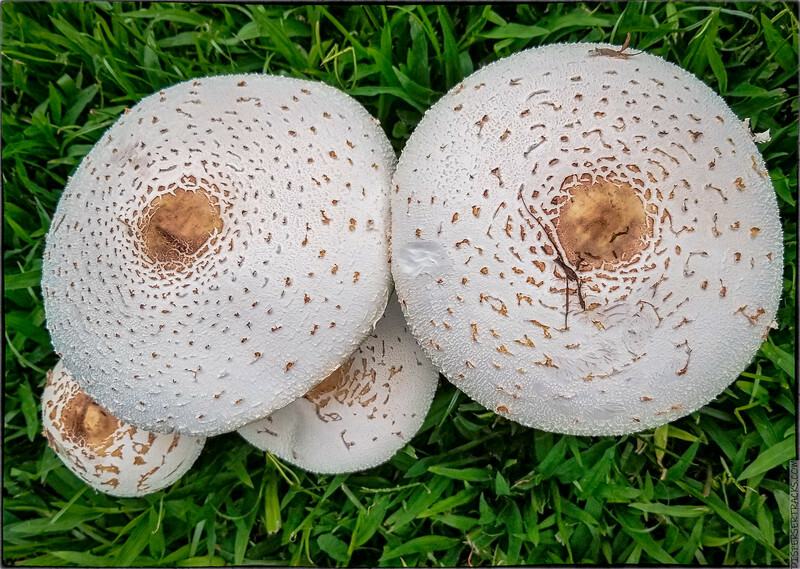 I suppose they’re edible here as well but there’s a closely related species that can cause discomfort and adverse reactions. I’ve never heard of anyone collecting them here but there are recipes online so someone must be doing it. These lizards, like the geckos, are not especially fearful and can be easily enticed to interact with humans (meaning, offer them food). That said, the initial reaction to anything large getting close to them is seldom to stand on their hind legs and offer a hug. Beautiful bunch of photos! 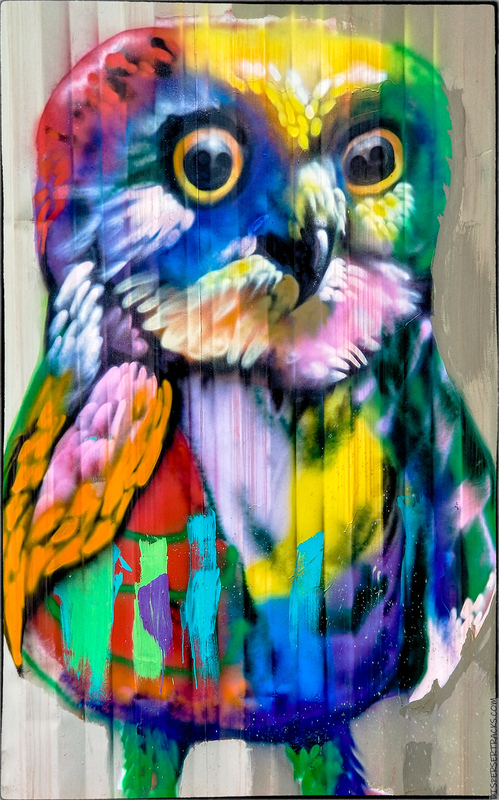 And you probably know by now that my vote goes to the colorful and creative OWLS!! !